Gradient function is now added to LC-91 NEXTseries with high reliability. Isocratic Recycle module is also supported as always. Installed Low-pressure gradient module offers a blend of 4diferent solvents. 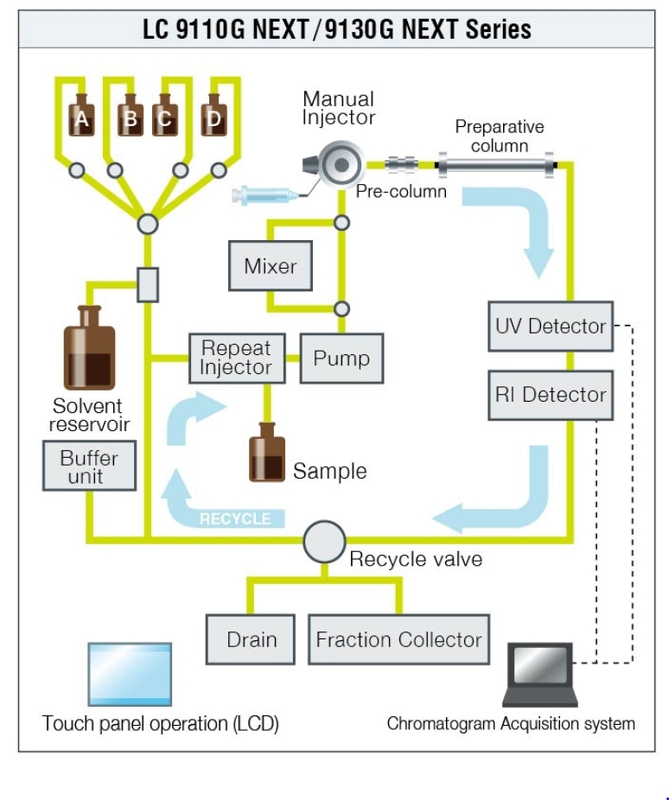 Combination of recycle after g radient mode separation expands the application range in separation and purification of compounds with wide polarity range. 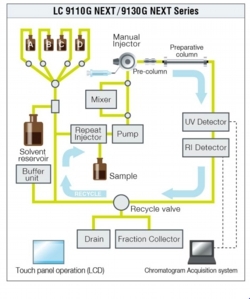 During extended recycling period，the recycled sample in the flow line may diffuse back into the solvent with the danger of contaminating the solvent reservoir. 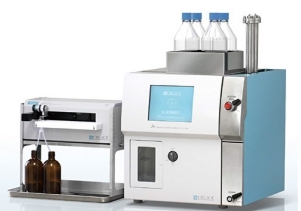 The NEXT series has non-diffusion device (patent) that prevents the sample from running back into the solvent line and damaging your sample，columns and detection with back pressure. 8.4 inch size touch panel screen enables easy and user-intuitive operation with the flow channel diagram on the screen. Gradient/ Isocratic mode switching is super easy by simply touching icons on the screen. Besides ther ecycle function is equipped，other various functions are equipped for your convenience，such as repeat injector，auto replay and fraction time auto adjusting. Optimized serial double plungeOther featurer pump dedicated for recycling is installed. Addition of digital flow rate compensation function enables reliable solvent delivery performance. The exact flow rate as setting value is guaranteed，regardless of column pressure. Keeps the flow channels clean automatically. Solvent changeover when changing columns is also made much easily. Two different types of detectors are both smal enough to fit into NEXT series body. They can be installed together and perform detection simultaneously. On Gradient mode，detection at UV cut off area or with RI detector is not possible. There are a few selection of software depends on your need and detector selection. UV-Vis 4ch NEXT works perfectly with JAI Scan and UV-Vis DAD NEXT works with ClarityTM. For other detectors，please choose from Prepure or JDS series.